Fund-raising random drawing tags generate dedicated funding for wildlife management programs that benefit big game species. Last year the fund-raising random drawing tags generated more than $340,000 for big game management in California. Any resident or nonresident who will be age 12 or older as of July 1, 2018 may apply for the deer, pronghorn and elk tag. Any resident or nonresident who will be age 16 or older as of July 1, 2018 may apply for the bighorn sheep tag. No limit on the number of applications you can submit. Does not use or affect your preference points. Winners are awarded a tag at no additional cost. A hunting license is not required to apply, but must be purchased if drawn. Apply from April 15, 2018 through June 2, 2018 at license agents, CDFW license sales offices, online at www.ca.wildlifelicense.com/InternetSales or by telephone at (800) 565-1458. Tags are awarded by random lottery which is run within 10 business days of the deadline. Winners are notified by phone. The Fund-raising Random Drawing Pronghorn Tag allows the hunter to hunt in any of the northeastern pronghorn zones, (Mount Dome, Clear Lake, Likely Tables, Lassen, Big Valley and Surprise Valley) with any legal method. The hunt dates are from July 28, 2018 to September 16, 2018. This fund-raising tag is valid only in the Marble/Clipper and South Bristol Mountains hunt zones. Season dates are from November 3, 2018 through February 3, 2019. If awarded the tag, the hunter must attend a mandatory orientation to receive the tag. 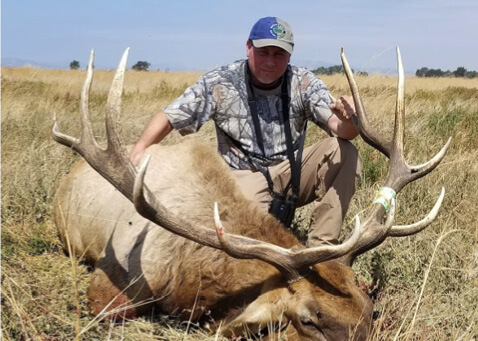 This tag is valid in the Siskiyou and Marble Mountain elk zones from September 1 to 19, 2018, in the Northwestern elk zone from August 29, 2018 to September 27, 2018 in the Northeastern elk zone from August 22, 2018 to September 23, 2018 and in the La Panza elk zone from October 6, 2018 to December 9, 2018 with any legal method. Only one elk may be harvested.